Azerbaijan and Romania maintain close relations in political, economic, humanitarian and other areas of mutual interest. Both countries share the same interests especially in the implementation of energy and transportation projects. Azerbaijan’s state oil company SOCAR has expressed interest in cooperation with Romania’s ROMGAZ company in exploration and production of gas in the Black Sea, Trend reports citing a message from ROMGAZ. 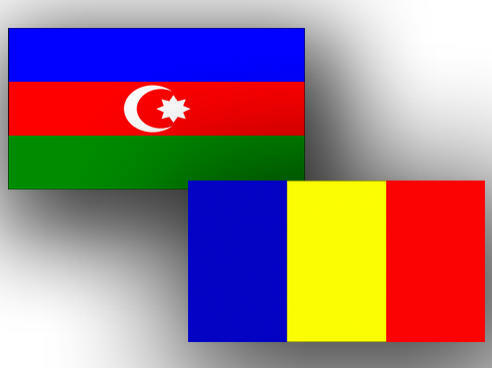 During the meeting, the sides discussed Romanian company’s intention to cooperate with SOCAR both on the onshore area of Azerbaijan and on the offshore area in the Caspian Sea. ROMGAZ CEO, Adrian Volintiru said that entering a partnership with such a company as SOCAR is important for the company, as it will bring major benefits not only to ROMGAZ, but also to the energy sector and to Romania’s national economy as a whole. Azerbaijan's state oil company SOCAR has played an important role in the Romanian distribution market since 2011 through its subsidiary SOCAR Petroleum S.A.. The company has 40 filling stations in 18 Romanian regions. Romania and Azerbaijan also cooperate in the implementation of AGRI (Azerbaijan-Georgia-Romania Interconnector) energy project which is aimed at diversifying the energy supply sources of the European Union and involves the transport of Azerbaijani natural gas to Romania and Central Europe. AGRI highlights the important contribution that liquefied natural gas (LNG) could bring to the EU’s energy security in line with the objectives of the European Commission Strategy for LNG and natural gas deposits. Furthermore, AGRI may be considered as additional supply route for the BRUA interconnector (which is expected to connect the natural gas transmission systems between Bulgaria, Romania, Hungary and Austria) currently under execution. The countries, engaged in the BRUA project may take over some of the gas volumes that could be available through the Southern Corridor's infrastructure. The participants of the AGRI project are SOCAR, Georgia's Oil and Gas Corporation, as well as MVM (Hungary) and Romgaz (Romania). Earlier, Romania’s Transgaz company and Azerbaijan’s SOCAR signed a memorandum of understanding (MOU) that envisages strengthening cooperation in the gas transportation, studying opportunities to use Romania’s potential in the gas transit and distribution at the expense of gas supplies from Azerbaijan, the Caspian region and other promising directions, jointly studying the possibilities of cooperation in the supply and trading of natural gas and LNG in the Romanian market on the basis of long-term contracts and spot trading as part of the AGRI project. The MOU will also give an opportunity to deepen cooperation between the two countries’ companies and to expand their activities in the gas market of Southeast Europe and the Balkan region. Romania is actively promoting a project to create a new transport corridor linking the Caspian Sea and the Black Sea. Azerbaijan is a vital link in the East-West corridor and Romania is very interested in taking part in the multilateral arrangements aimed at facilitating cargo flows between Central Asia and Europe through Azerbaijan. Romania can benefit from the transportation projects implemented by Azerbaijan such as Baku International Sea Trade Port, Baku-Tbilisi-Kars railway, South-West route. It should be noted that Grampet Group, the largest rail freight and logistics operator in Romania and South-Eastern Europe, has joined the Trans-Caspian International Transport Route (TITR). TITR is a project initiated to improve transit potential and development of the countries of the Caspian region. This route runs from China through Kazakhstan, the Caspian Sea, Azerbaijan, Georgia, Turkey and further to Europe. Romania has been the first EU Member State to establish a Strategic Partnership with Azerbaijan in 2009 that provided both countries with a solid framework to develop the bilateral contacts and cooperation in various fields. Recently, the fifth meeting of the Azerbaijani-Romanian intergovernmental commission took place in Bucharest.